In Race 10 at the Kingston Laser Master Worlds, Doug found himself in first place coming into the finish line. Since he is about to turn 65 an age out of the Grand Master fleet, these moments don't come around too often and he wanted that hard earned first. Instead, less than 50 feet from the finish, he found himself involved in an incident with the GM winner, Peter Shope (who doesn't even have to sail the last day to win). I stood there and watched Doug turn a 1st into a 7th as he did penalty turns just before finishing. I watched the incident and it sounded like Doug was in the wrong and when Doug did turns it made it look like Doug was in the wrong. Doug was fairly certain he wasn't in the wrong and no one called protest, but there had been contact so Doug opted to spin since Peter had just won the regatta and the protest room was no way to finish things. Doug is actually in this video and he's the boat that ducks, completes his tack while the other sailor is still completing his when there is contact. Yesterday, Doug was in the other position where Peter had ducked him and then tacked and contact occurred shortly thereafter. I think Doug did the right thing by spinning after there had been contact without a protest but I don't think he was in the wrong. Since today is our anniversary, I'll give Doug the gift every man wants which is for his wife to say, "I'm sorry dear, you were right!" 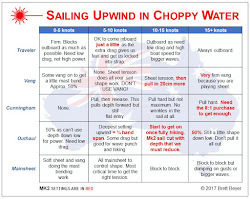 I loved Mark Bethwaite's summary of things ... he said that the 'slam dunk' move never seems to work in dinghies. Save it for bigger boats. 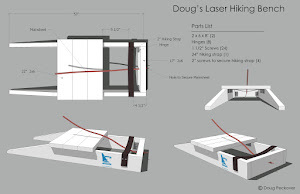 Doug has now been involved in two incidents and without video or picture evidence, there would always be a question as to who was right and who was wrong. The other thing Mark said was that next year Doug will be sailing in the GGM fleet and this incident would have just been minor and unavoidable contact and he could just sail on and all is forgiven. A good laugh was had by all and Doug realized he's ready and looking forward to aging out and joining the GGMs who are appreciative that they are still alive and having fun. Winning is fun but being healthy and fit has a higher priority. Congratulations to Peter Shope on winning the GM World Championship. He sailed exceptionally well and deserved to win. Update by Doug: I bumped into Peter at breakfast. He was trying to tack behind me to cover Andy Roy. Peter felt he was in the wrong and was going to do circles but did not when he saw me doing mine. Makes sense. It's a pity we don't get to see the video, because it would be quite instructive! My take on the video you posted above is this: Both boats had completed their tacks and are on a close hauled course, so Rule 13 has turned off. The port tacker (coloured sail) must keep clear. 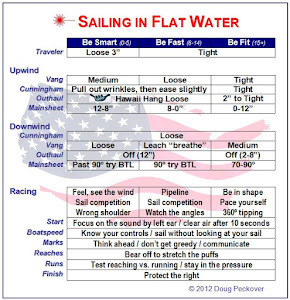 Crew position or a full sail doesn't come into it as the rule states "until she is on a close hauled course". The starboard tack boat (white sail) does well to avoid the collision. It's a great pity you did not take the win, but it's not always about that is it? You obviously had sailed a brilliant race to be in the position to win and beat the eventual winner in that regatta, so that was awesome. Well done Doug! A video would have indeed been instructive. My job on the finish line boat was videoing the finishes but I'd snap photos here and there too. I ended up getting the before and after photos of the incident and then heartbreaking video of Doug stopping short of crossing the finish line and Andy and Peter finishing just seconds later. So, I'm not up to speed on rules ... does the attached video essentially say that there can be contact and no protest is required? I've always heard that someone has to protest or spin if there is contact. Yet, I saw a couple of incidents in the finish line where there was contact and not protest or spinning and a judge boat was sitting right there watching. We missed you at the Worlds. It was great fun. I am reminded of another of your blog posts which emphasized that one has to look for the big picture and not engage in local warfare. Regarding the Peter/Doug incident, Peter ducked behind Doug. Hence, Doug was ahead (and leading the fleet). Peter lost some distance due to the tack. Wouldn't it have been better for Doug to not cover Peter and sail for the line? Even if Peter had gotten a 'lucky' puff, Doug would have gotten second. You wrote that this all happened close to the finish line. Your are correct. 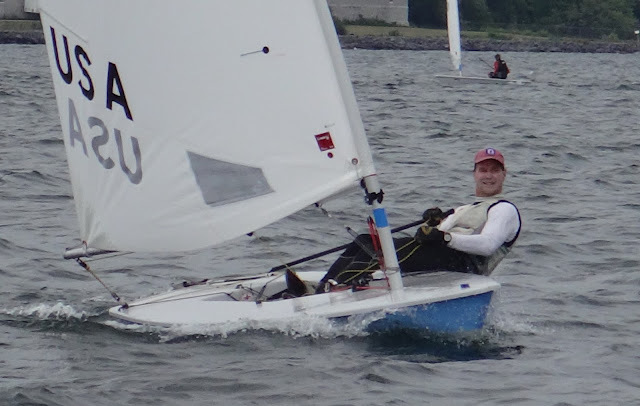 It was the end of the 3rd race and Doug made an error to not just sail for the finish line and take a 1st or 2nd. He and Peter both agreed later that he should have just kept sailing. However, Doug doesn't have any depth perception and couldn't determine whether the boat or pin was closer and he was concerned that Peter would end up closer to the boat and win the race so he covered him. Not a move he'd repeat again. It was heartbreaking to watch him sail to about two boat lengths of the finish (still in first place) and then turn and start spinning. Andy Roy crossed at the pin a few seconds after Doug turned and then Peter a few seconds after that and then a whole parade of boats. A 2nd or 3rd would have been just fine. Hi Doug and Pam. An interesting discussion and photo. It certainly was a surprise and gift for me when I crossed the line in first in that race. My back was to the incident, so I was simply expecting to cross the line in 3rd. I learned about the incident from talking to Peter on the sail in. Looking at the photo you took Pam it is certainly clear evidence that Peter was in the wrong (which he confirmed to Doug, saying he was about to do turns). The incident certainly confirms one thing (that I already knew), and that is that both Doug and Peter are very honest sailors and I certainly enjoy competing against both. Doug, it's too bad you are "graduating" to the GGM fleet next year. We'll miss you, but I'll see you on the same course again in 7 years! The fact that I lost 6 places doing a 720 at the end of a race shows how tight the competition was. I'll miss sailing with the GMs but it will not be getting any easier. Next year will be GGMs Mark Bethwaite and possibly Keith Wilkins in the standard rig. See you at the mid-winters. Hi Pam, regarding your question, there doesn't have to be contact for a foul to have occurred. Also, a boat that does penalty turns is not necessarily admitting guilt either, and can still protest the other boat.